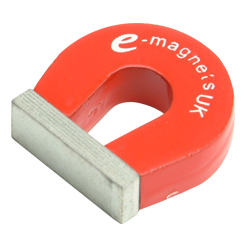 e-Magnets UK specialises in the supply of permanent and neodymium magnets. The dedicated Rare Earth magnet specialist prides itself on its operational excellence and exceptional service experience. It manufactures and supplies the highest quality magnet assemblies and components to both businesses and households. Different types of magnets are more suited to different applications. The two Rare Earth magnets provided by e-Magnets UK are strong magnets known as SmCo (Samarium Cobalt) and NdFeB (Neodymium or Neo). The latter give the maximum performance, being the most powerful magnets. For use in temperature stable or high-temperature applications, Alnico magnets and SmCo magnets are ideal. Ferrite magnets are best used in corrosion resistance applications or lower cost applications. For each of these types of magnet, e-Magnets UK provides different grades and coating finishes. The quality-assured magnets are designed for use in industries as diverse as advertising to automotive, marine to agriculture, and food preparation to pharmaceutical. As a global leader for supplying magnets and magnetic assemblies, e-Magnets UK offers a vast range of products for both domestic and commercial use. The magnetic product range includes bar magnets, magnetic tape and strips, pot magnets, magnetic discs, countersunk magnets and magnetic sweepers, to name just a few.